Style & Sensibility: Lovely NYC is selling ALL of their Bridesmaid Dresses! Lovely NYC is selling ALL of their Bridesmaid Dresses! That's right - you read the title of this blog post correctly! 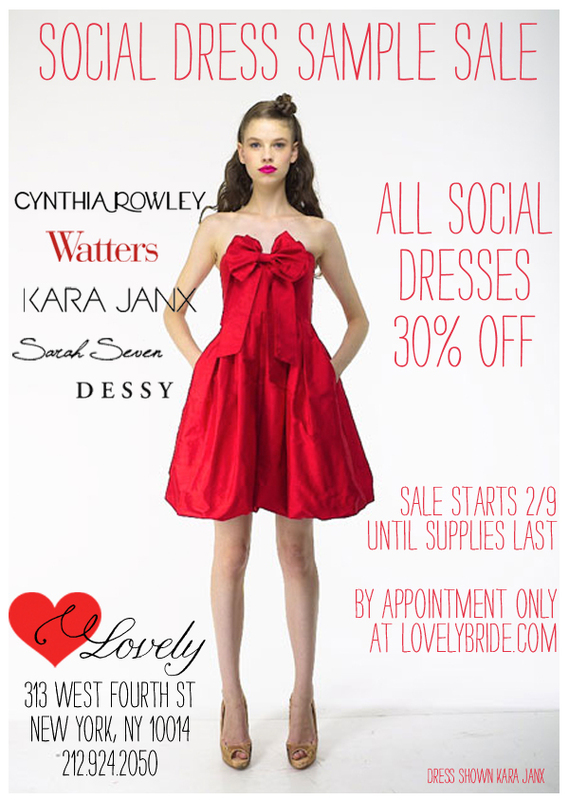 Lovely, a beautiful bridal shop in NYC, is selling ALL of their bridesmaid/social dresses because they are re-focusing on brides. Go check out the sample sale! Storybook Invitations by Constellation and Co.